Fire can break out anywhere, at any time. That’s why thousands of fire protection professionals around the world like you rely on 3M™ Novec™ 1230 Fire Protection Fluid to keep computer rooms, control centers, document storage vaults and other essential facilities safely up and running. Because of this, Novec 1230 fluid – unlike HFCs – is not targeted for phase-down or regulatory restrictions anywhere in the world. 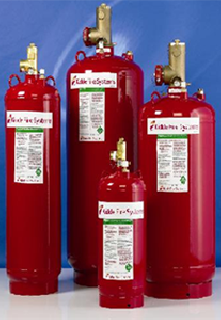 And it is approved for use in total flooding fire suppression systems by the U.S. EPA and most major regulatory bodies around the world. All of this makes Novec 1230 fluid today’s sustainable choice for clean agent fire protection.